A Travelogue: 360 game. 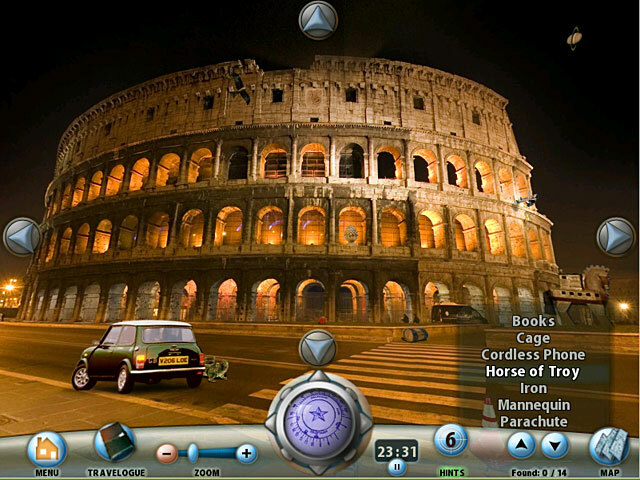 Explore the stunning city of Rome through 360-degree photographs in this great hidden object mystery. 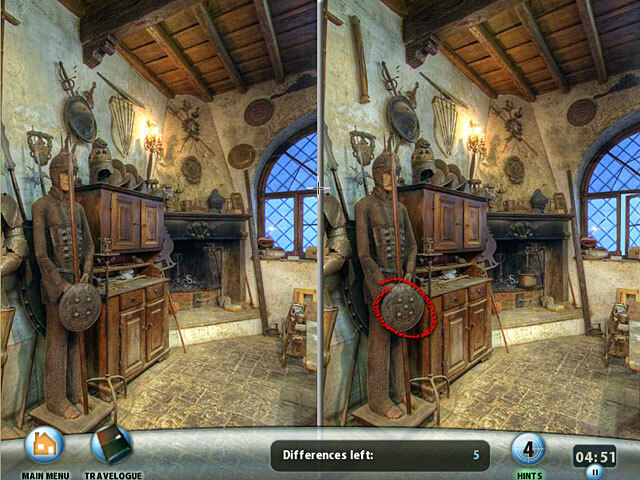 Find special objects in over 25 locations and swap the objects for clues to solve the mystery of "The Curse of the Necklace." Discover some of Rome's most popular attractions, including the Trevi Fountain, the Colosseum and St. Peter's Square. You'll also be amazed by locations that only the locals know about, including some that are quite strange and mysterious! Many beautiful and mysterious locations.